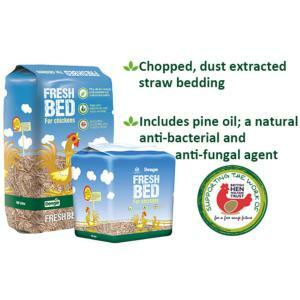 Dengie Fresh Bed for Chickens is a chopped straw bedding with pine oil added for its natural anti-bacterial and anti-fungal properties. It has been developed in association with the British hen Welfare trust. Fresh Bed is designed to keep your hens feeling warm and cosy.